You’re ready to define how the controller hardware and communication interface is going to be set up. 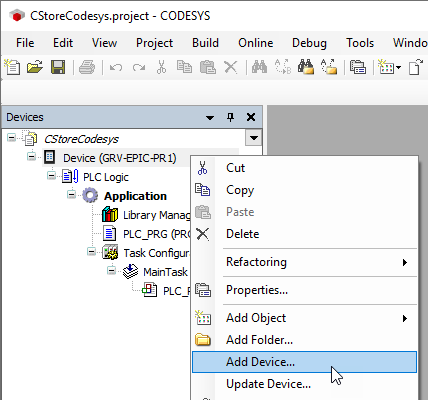 To start, you'll add a device, the Ethernet interface, to the groov EPIC controller. 1. 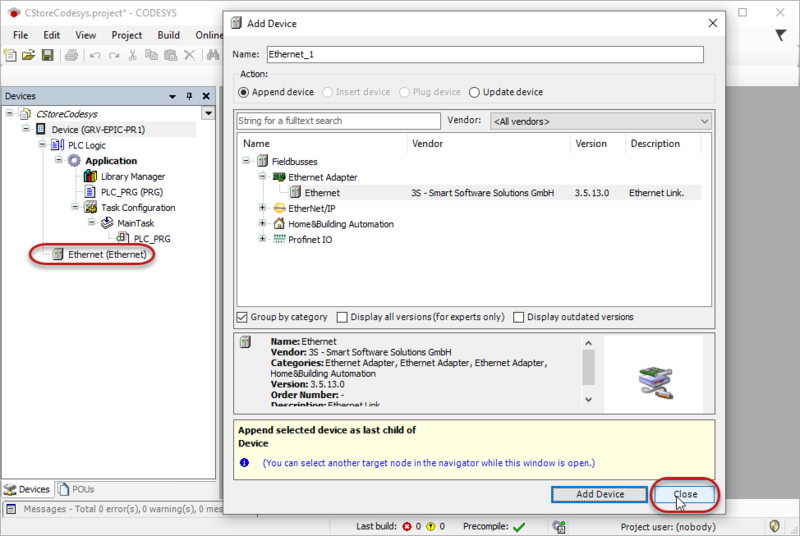 In the Devices Tree, right-click on Device and select Add Device. 2. 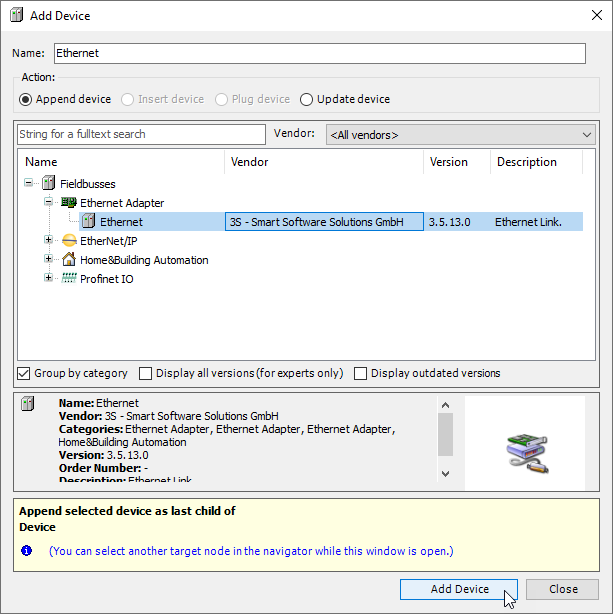 Click the + to expand the Ethernet Adapter from the Fieldbusses device list, and select Ethernet. Notice: When you select Ethernet, the name was added in the Name field. The Ethernet (Ethernet) device is added to the Devices Tree. Notice it’s under Device (GRV-EPIC-PR1). 4. Click Close from the Add Device window. Now you're ready to define the module slots the controller can accommodate. Steps to define the Ethernet Adapter as the communication interface.